A refreshing, tangy apple juice perfect for those hot summer days! 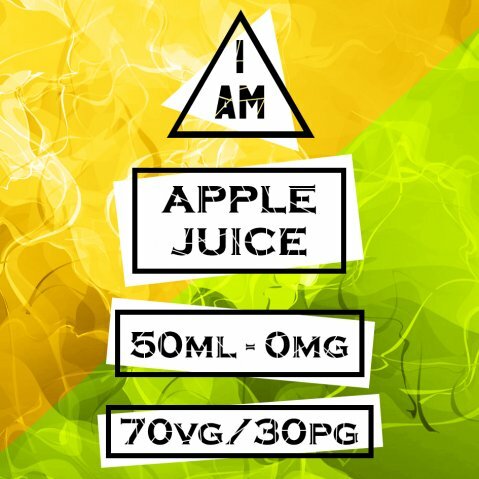 50ml of E-Liquid in a 60ml bottle so there's room for you to add nicotine! 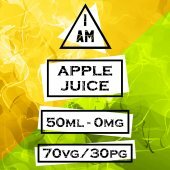 PLEASE NOTE: This liquid is very thick so we do not recommend using it in E-Cigarette Tanks with an atomiser resistance of more than 1.0 Ohm. This is because higher resistances do not allow the atomiser to burn hot enough to break down the liquid. Options to add more than 10ml of Nicotine (1 x 10ml Nic Shot) are provided because the 60ml measurement of the bottles is only counted up to the bottom of the bottle neck, so you can actually fit more than 60ml in the bottle. This is a bit of a squeeze though so you may not be able to fit the full 20ml of Nicotine (2 x 10ml Nic Shots) in the bottle.